$599$5 and 99 cents$0.57 / oz. $479$4 and 79 cents$0.46 / oz. 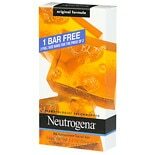 Shop Neutrogena Original Gentle Facial Cleansing Bar With Glycerin Original (3.5 oz. 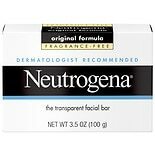 )3.5 oz. $299$2 and 99 cents$0.85 / oz. 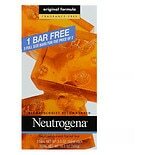 Shop Neutrogena Glycerin Facial Cleansing Bar For Acne-Prone Skin (3.5 oz. 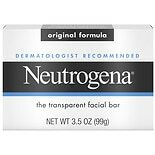 )3.5 oz. $329$3 and 29 cents$0.94 / oz. 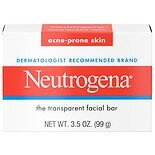 Shop Neutrogena Transparent Facial Bar Soap, Face Wash & Cleanser Fragrance Free, Fragrance Free (3.5 oz. )3.5 oz.